No one wants to be in this situation, but many people traveling to other countries find themselves needing a temporary passport. Regardless of how your passport went missing, the main thing is to get a quick replacement. 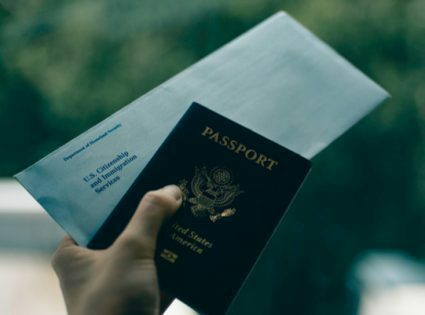 If you find yourself in this predicament, here is what you must do to get a passport to continue your travels or return home. An emergency passport is just a passport issued in an emergency. A passport that is given in an emergency to return home or to continue on a trip is valid for a short time. An emergency passport is temporary and is not valid for five years if issued to a minor or ten years if granted to an adult. What is recommended is once the bearer of the temporary emergency passport gets home to re-apply for a new passport. Once you can provide these documents, you will get a temporary emergency passport. If you cannot produce some of the papers the consulate is asking, you may still get a passport but with restrictions which will be printed inside. Remember, this is a temporary passport and must be replaced. Once you are back in the U.S., you must re-apply for a new passport. To do so, complete Form DS-11, Form DS-64 and submit them with the supporting documents and pay the cost. Also, send the temporary passport with the application. Once a new passport is returned to you, the adult passport will now be valid for ten years and five years for a minor. The cost for your passport will vary and depend on which process you select to get the new document. The time it takes to process will also depend on routine or expedited processing. Your new passport can take from 2 to 8 weeks before you get it in the mail. However, if you need it sooner, go to a regional passport agency or hire a private expediting company. Any of them can provide a passport in need.